While the NAVi may have got all the attention at the Honda India Pavilion, the Japanese auto giant ensured to also reward the Unicorn lovers at the Auto Expo with something special. The two-wheeler manufacturer showcased the Unicorn 150 and also announced its intention to re-launch commuter motorcycle later in the year. The move comes based on the customer demand for the older model after having discontinued it in 2014, subsequently replaced by the CB Unicorn 160. Launched in 2005, the Honda CB Unicorn 150 spelled out to be a popular contender in the then growing 150cc commuter motorcycle space. With its refined motor, neutral styling and comfortable ride quality, Honda sold over 13 lakh units of the Unicorn 150 over the years. In fact, the automaker's attempt to go premium in the segment with the CB Dazzler and then the Trigger fell face first, whereas the 150cc Unicorn managed to clock consistent numbers during the same period. Bringing back the Honda Unicorn 150 certainly seems to be a positive move from the manufacturer and the model will co-exist with the new CB Unicorn 160 and CB Hornet 160R. The bike retains the same mechanicals and styling as the discontinued model with power coming from a 149.1cc single-cylinder, air-cooled engine tuned to produce 13.14bhp at 8500rpm and 12.84Nm of torque at 5500rpm. The rear wheel is propelled with the help of a 5-speed gearbox. 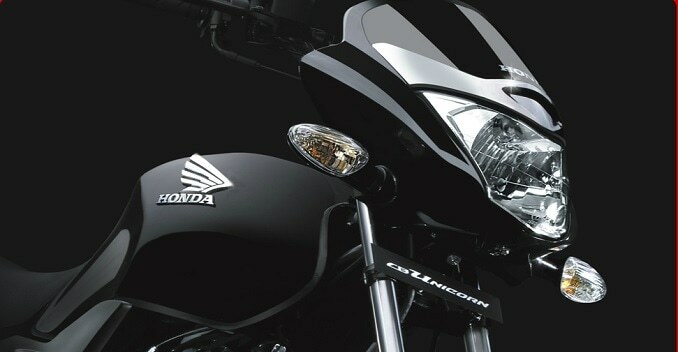 The motor is likely to get upgraded with Honda Eco Technology (HET)which is now standard across most two-wheelers from the company while the styling gets no changes retaining the analog instrument cluster, single-piece headlight, elongate seat, 3D Honda logo and 5-spoke black alloy wheels. Other mechanical bits remain the same inclusive of telescopic forks up front and spring-loaded monoshock suspension at the rear. Braking performance comes from a 240mm front disc and a 130mm rear drum brake setup. You will also see a lot of parts sharing on the re-launched Honda Unicorn 150 in a bid to keep costs in check; which effectively translates to no engine kill switch this time as well. The automaker has not committed a launch date yet not has given away the pricing. That said, expect the model to be priced marginally lower than the Unicorn 160 under the ₹ 70,000/- (all prices, ex-showroom) mark. With the Hornet already eating into the Unicorn 160's sales, it will be interesting to see how Honda positions each of the models. Nevertheless, the company will be hoping to do better in the tier II and III market and will help build volumes in the segment to take on the offerings from Bajaj Auto and TVS.